The University of Vermont’s Healthcare Management and Leadership program provides the tools and skills necessary for healthcare managers to succeed in the dynamic work of health services delivery. Through five interactive sessions you will develop techniques and explore practical solutions to the biggest challenges facing today’s healthcare managers. The certificate connects you with the UVM community and a network of peers in the industry. You will gain valuable skills and a foundation of knowledge that you can put to work immediately within your organization. Day-long locally held sessions allow you to minimize your time away from work and family, while participating in training to help you become a more effective leader and reach your professional goals. 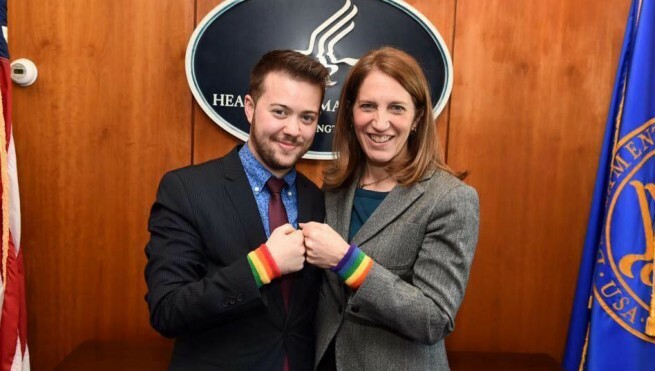 We talked to Elliot about LGBT health policy, building a network, and making a difference in the LGBT community.